Did you know nearly 240 Jains practice Santhara every year in India? Santhara, the age-old Jain practice of voluntarily fasting unto death, is now a crime. The Rajasthan High Court declared it illegal on 10 August. Delivering its verdict on a PIL filed by advocate Nikhil Soni in 2006, the court ruled that Santhara will be punishable under section 309 of the IPC as an attempt to commit suicide. Any support to Santhara will be construed as abetment to suicide under section 306 of the IPC. Soni had contented that the practice violates the fundamental right to life. And if Sati - a Hindu widow's self-immolation on her husband's pyre -- and euthanasia aren't allowed, Santhara can't be either. The PIL had raised concerns that it's usually old people who resort to Santhara, and allowing them to do so is inhuman. The division bench of Chief Justice Sunil Ambwani and Justice V S Siradhana agreed, and ordered the state to "stop and abolish the practice of Santhara in the Jain religion in any form". In its judgment, the court said the respondents couldn't produce convincing documentary evidence - scripture, sermon, article - to prove that Santhara was a matter of religious faith. And there is no proof, it added, that the practice was prevalent among Jains before the Indian Constitution was promulgated. "Jain saints have nowhere mentioned it as a medium for the attainment of Moksha. Most Jains do not adopt Santhara for salvation. Jain philosophy does not prescribe it profusely," the court said. It ruled that the rights to religious freedom and life do not include the freedom to take one's life. Santhara, therefore, can't be allowed under the right to religious freedom. But what exactly is this practice? 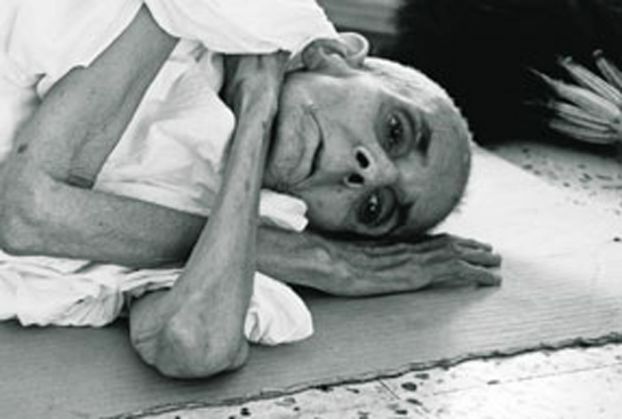 Santhara or Sallekhana means undertaking a fast unto death when a person nears the end of life. Jain scriptures describe it as a "thinning out of the passions and the body". It is prescribed both for ordinary Jains and those who have renounced the world. Normally, it is allowed only for a person suffering from an incurable disease or nearing his very end. Jain philosophy claims it leads to Ahimsa, as the person observing Santhara overcomes worldly desires. According to the Press Trust of India, 240 Jains practice Santhara every year. Churu in Rajasthan has the highest per capita incidence of such people and is thus dubbed the world's Santhara capital. Santhara made the headlines in 2006 when 93-year-old Kaila Devi Hirawat from Jaipur performed it, sparking a debate among legal experts, religious leaders and human rights activists. The high court's judgment, meanwhile, hasn't gone down well with the Jain community. The Digambar Jain Panchayat Committee Trust in Bhopal has announced it will file a review petition against the verdict. The revered Jain seer Tarun Sagar termed the decision as "unfortunate". "The court has delivered the verdict without fully understanding the Jain religion," he said. His sentiment was echoed by another seer Muni Subal Sagar. "Samadhi (Santhara) means weakening the worldly body. There is no pain involved in it. The disciples give up their mortal bodies to attain salvation through this practice," he argued. Muni Ajit Sagar Maharaj of Bhopal said it was wrong to compare Santhara with the practice of Sati. "It is not a process of forced death," he said. "Santhara is not a suicide. Jainism considers suicide a sin. Followers of every religion do penance through different means and Jainism also does so for self-purification," said Muni Praman Sagar, a Digambar Jain priest from Rajasthan. Some social activists have also opposed the decision. "Santhara has always been a part of Jain religion. Sentiments of thousands of people are attached to this practice. And it would be against these sentiments to term it as suicide," said Rakesh Jain Kakka, a social activist based in Katni. 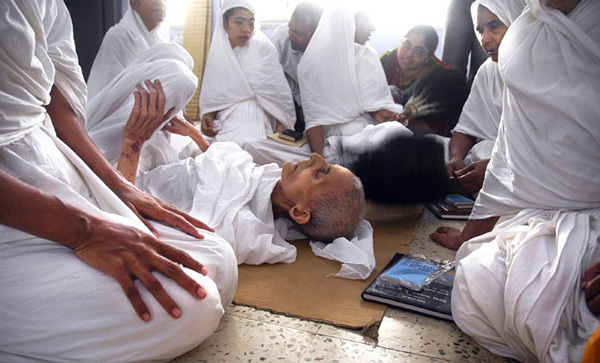 TWEET THIS Is Santhara, the Jain practice of voluntarily fasting unto death, suicide? HC says yes Did you know nearly 240 Jains practice Santhara every year in India?